Because the Real Moves workouts are loaded into the Real Appeal Effect site, it's simple to track them. Please see the instructions below for how to track them on the website and app. 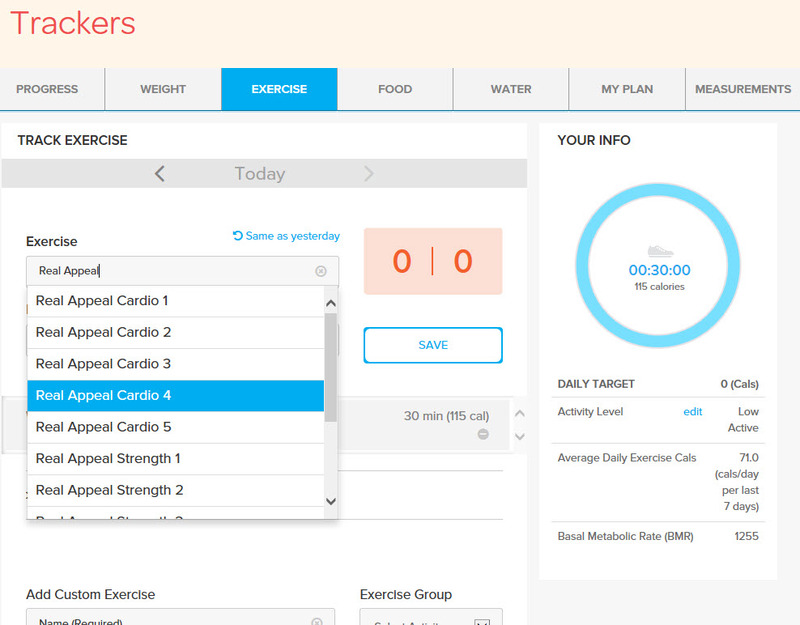 To track the Real Moves workouts on the website, first log into your Real Appeal Effect account and then go to the exercise tracker. Type "Real Appeal" in the Exercise field to display the list of Real Moves workouts. Enter how long you exercised and then click Save. 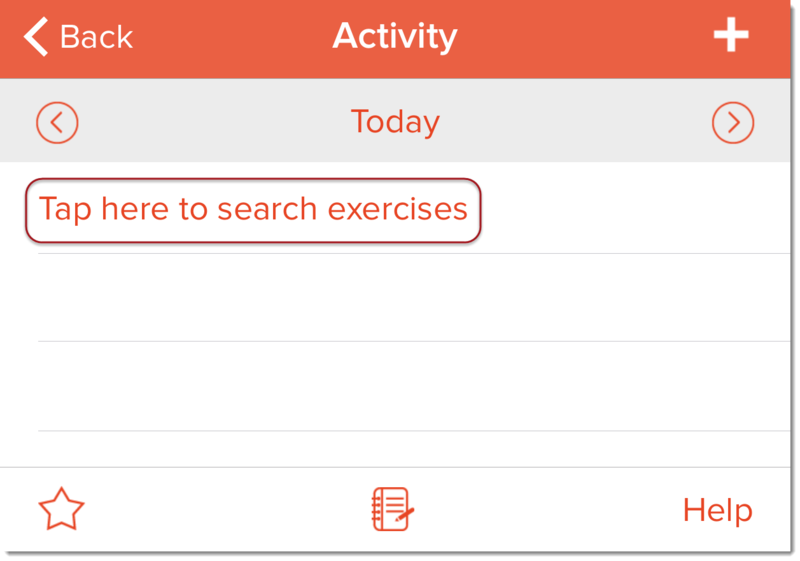 Before tracking the Real Moves workouts on the app, we recommend that you enter the workouts the first time that you track them into the website. 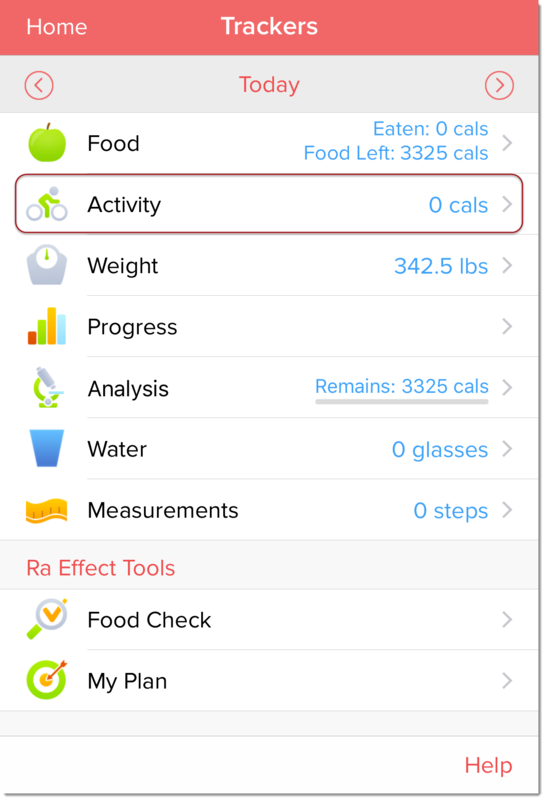 This ensures that the calories burned calculation is accurate between the website and your app. After you have entered the workout for the first time in the website, you can track it accurately on the app. 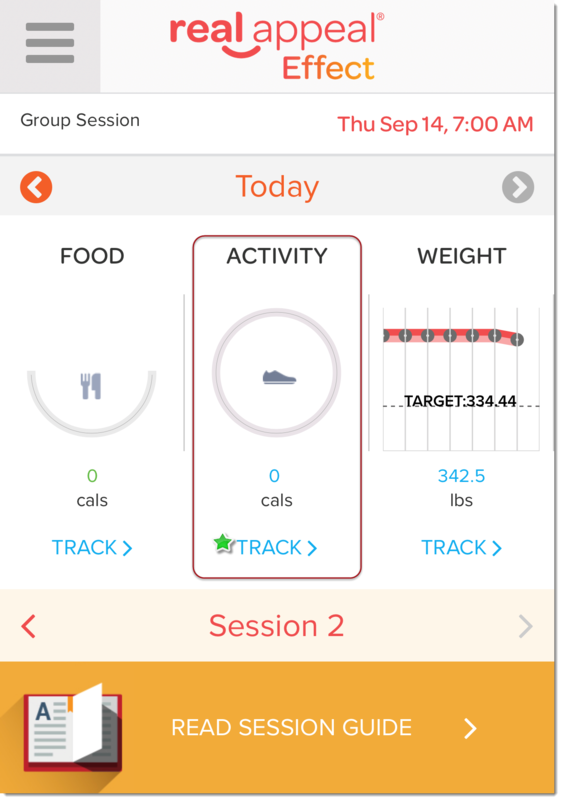 To track the workouts on the app, tap Track under Activity. Touch Tap here to search exercises. 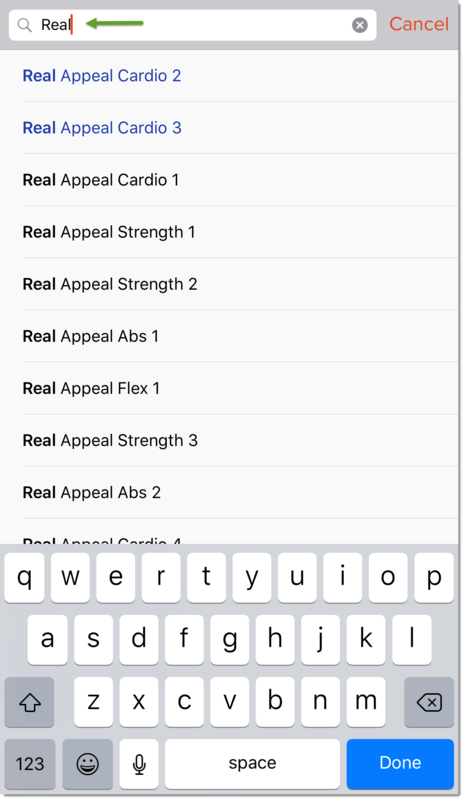 Type Real in the search bar to display a list of the Real Moves workouts. Select the workout, enter the amount of time that you exercised and then tap Save.